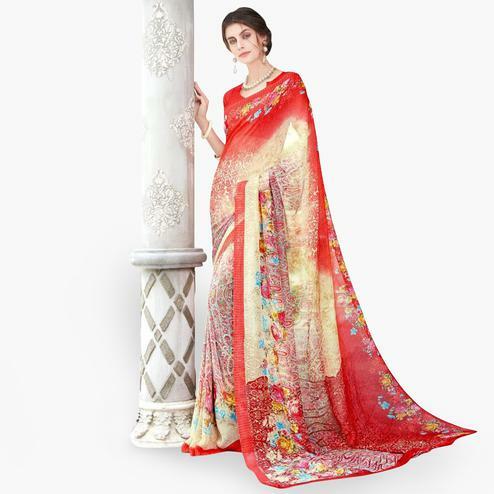 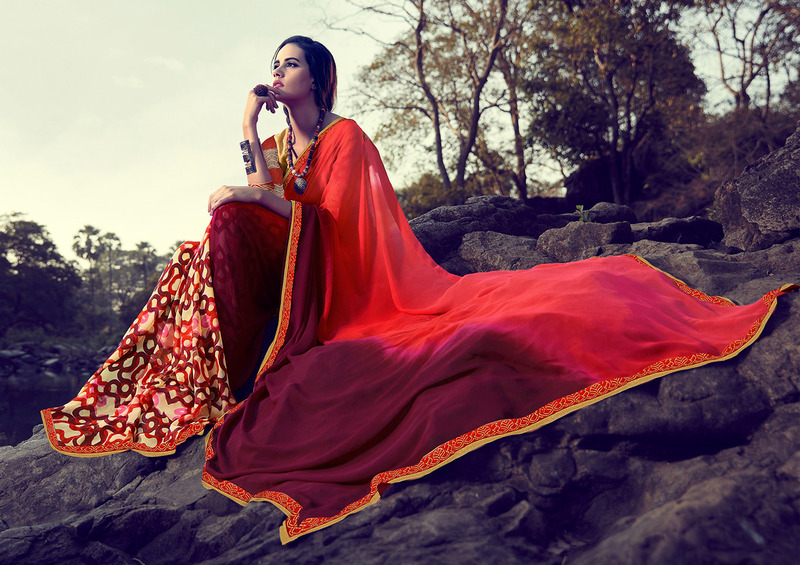 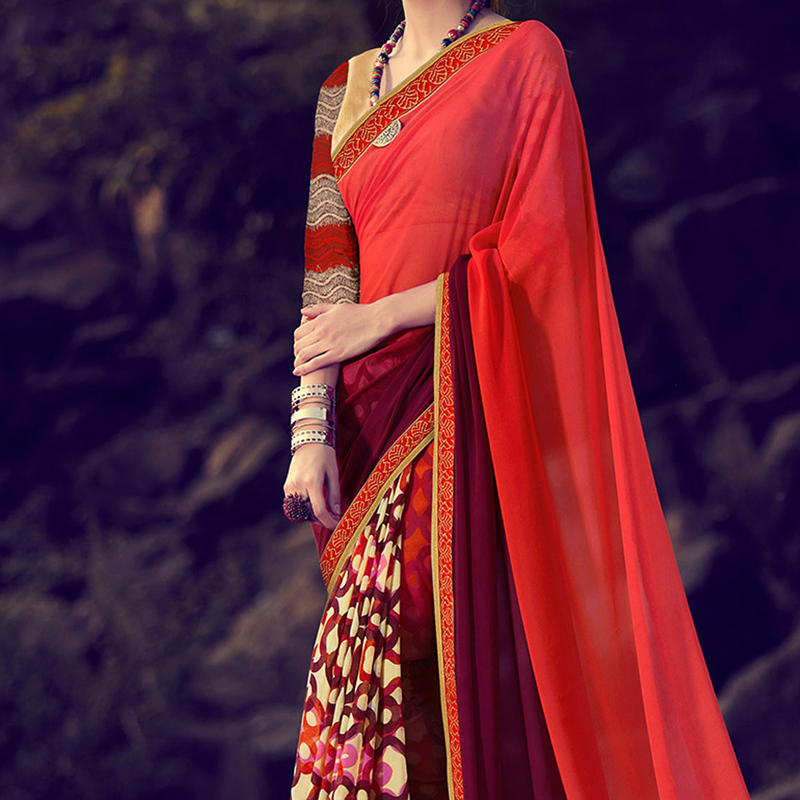 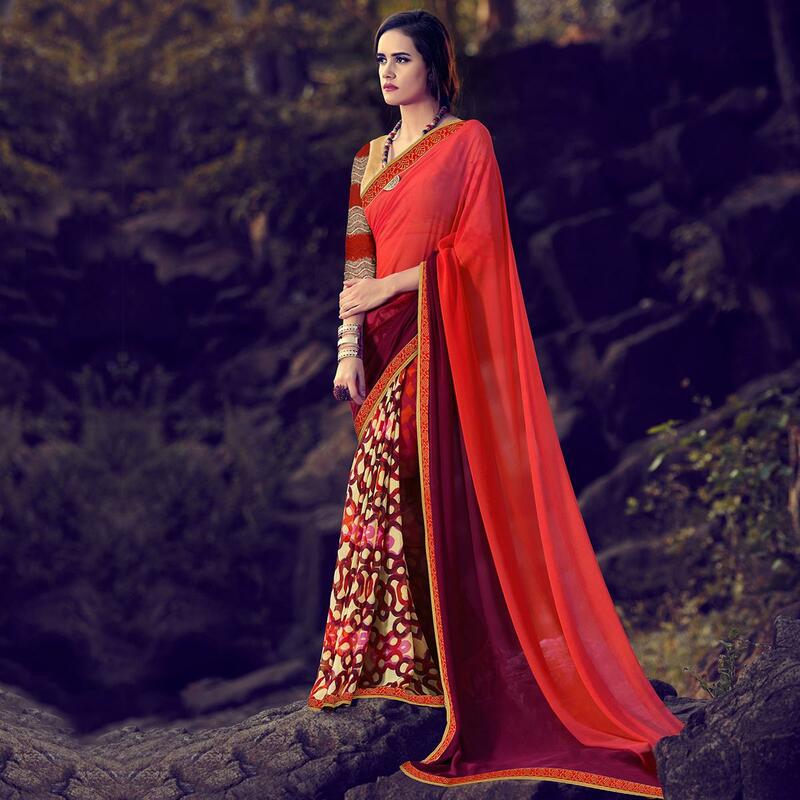 Look stunning on your casual days adorning this beautiful multicolored half & half saree. 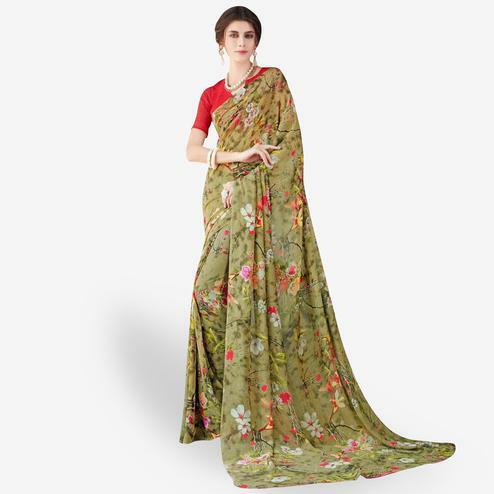 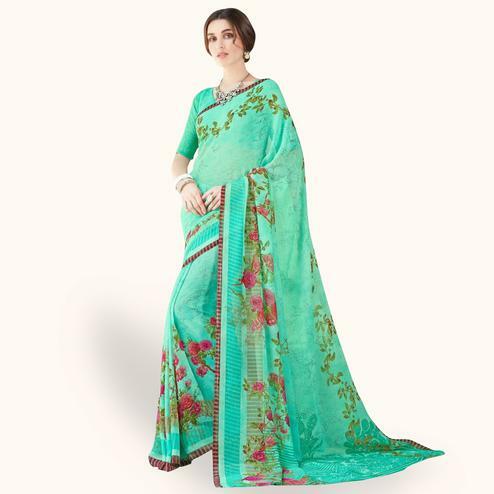 This saree is designed using georgette fabric that features two tone color pallu unique design digital printed skirt and traditional design lace work done at the border. 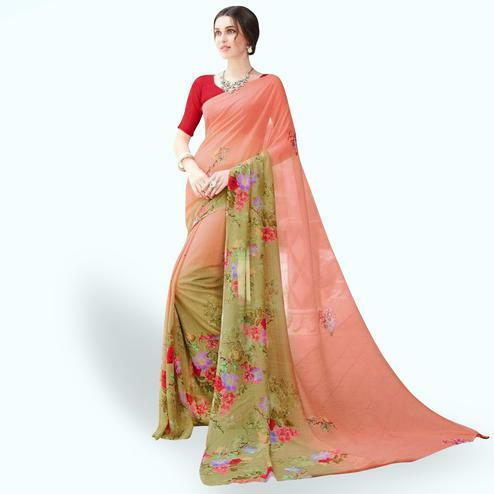 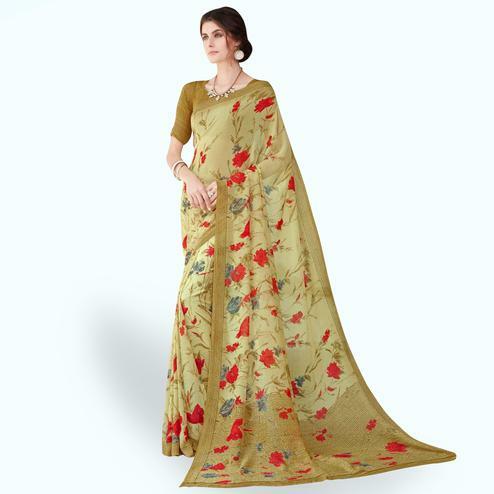 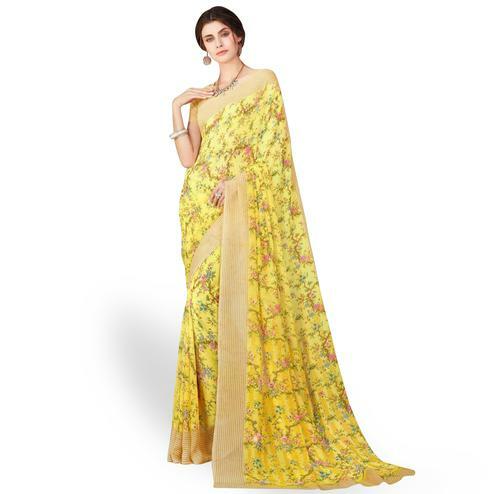 Saree comes along with unstitched banglori silk & net fabric blouse piece. 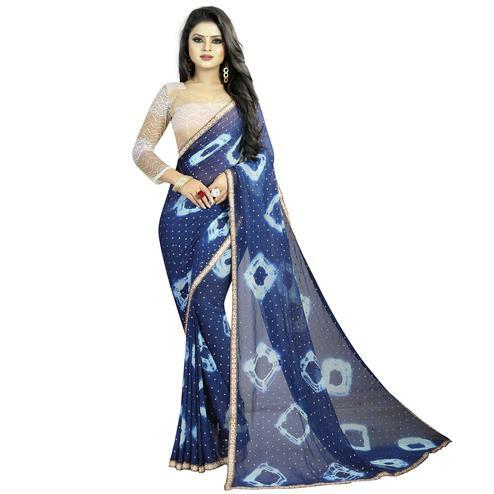 It's a perfect saree to wear for casual outing and social meets.